Realme C2 is an upcoming smartphone by Realme. The phone is rumoured to come with a touchscreen display. The Realme C2 is rumoured to run Android and is expected to be powered by a 4,230mAh battery. As far as the cameras are concerned, the Realme C2 is rumoured to pack a 13-megapixel primary camera and a second 2-megapixel camera. It is expected to sport a 8-megapixel camera on the front for selfies. The Realme C2 runs ColorOS 6.0 based on Android. The Realme C2 tipped to be a dual-SIM smartphone that will accept Nano-SIM and Nano-SIM cards. 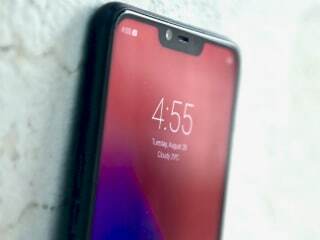 Connectivity options on the Realme C2 are said to include Wi-Fi, GPS, 3G, and 4G (with support for Band 40 used by some LTE networks in India). Sensors on the phone are rumoured to include accelerometer and proximity sensor.